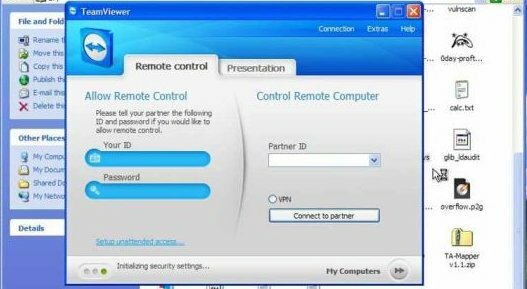 We don’t use TeamViewer for remote access, but if you do then I highly recommend you make a few settings changes immediately, or remove it entirely. For the last few weeks we’ve been hearing reports from users of TeamViewer who have had their computers ransacked by hackers and it’s been confirmed this is happening via their TeamViewer accounts. The hackers want to use your computer to access your PayPal, Amazon and bank accounts. Many people let their web browser save the passwords for those accounts and this will allow them to easily drain your accounts. No one knows how many TeamViewer accounts have been hacked, but with the recent release of 642 million passwords from LinkedIn, MySpace and other services, the attackers have a very large database of email addresses and passwords to try. They’re testing to see which of those work to login to TeamViewer and I hope that list doesn’t include you. If you have the same password for your TeamViewer account as you’ve used on other sites, you should change your passwords immediately, as well as enabling Two Factor Authentication on your TeamViewer account. Any customer with our maintenance services can use our maintenance service for remote access, at no extra cost. Both TeamViewer and Logmein are systems you must pay to use in your business. With our maintenance service our customers have one less expense and a more secure remote access system.